A Fond Farewell to Kate Lower from Northeast Iowa Food & Fitness for her Two Years of FoodCorps Service. It all began back in 2009 at Central Community High School when Kate was a member of the School District’s Wellness Committee. Her passion for health and wellness was at the top of her list. From there, she moved on to Luther College in Decorah majoring in Health Promotion. 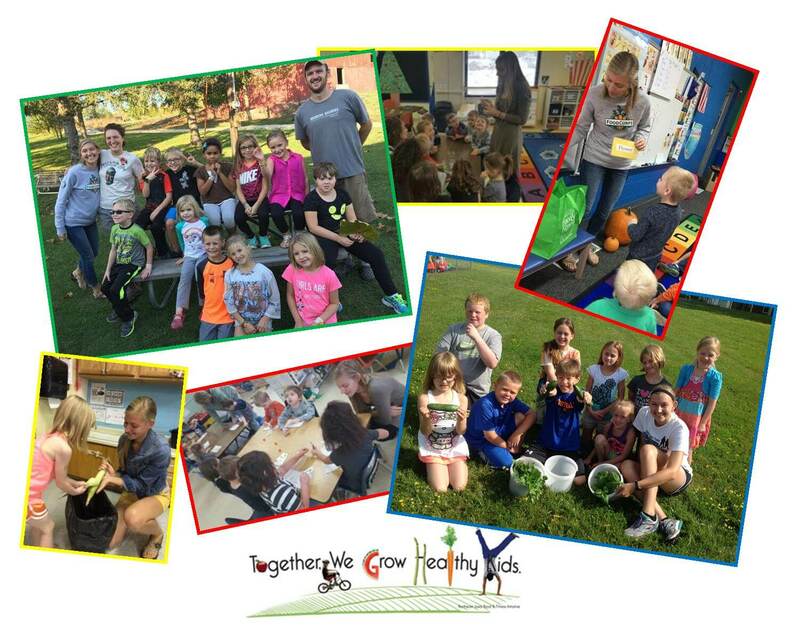 While at Luther Kate was able to interned twice for Northeast Iowa in Early Childhood which set her up perfectly to apply for FoodCorps. In 2016, she was selected as the first in the nation FoodCorps Service Member dedicated to early childhood. Who would have guessed she would make full circle and end up back at Central? Kate has done outstanding service for FoodCorps and Northeast Iowa Food and Fitness over the years and we will truly miss her passion, commitment and smile. Kate is moving on but staying in Northeast Iowa – she has accepted the position Elkader’s Economic Development/Main Street Director. We wish her all the best. Congratulations Kate, it has been wonderful working with you!